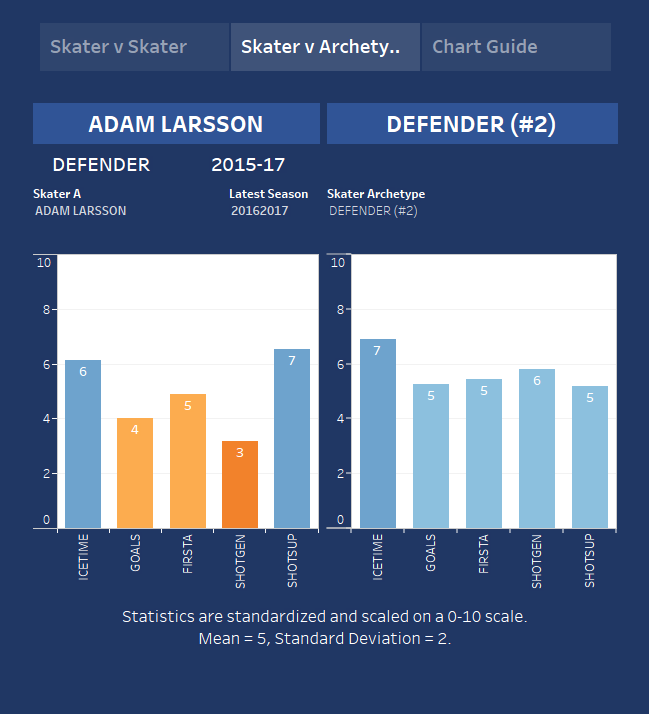 Adam Larsson came into training camp last season in an unenviable position. He was not only the sole return from the Taylor Hall trade but he was also expected to be the top pair right shot defender the Oilers have coveted for over a decade. The results? He and Klefbom found great chemistry and the two of them look to be Edmonton's top pair. The first thing I noticed about Larsson was how physical he was. While it's true I was not watching many (any) Devils games this was not something that many analysts were talking about when he came to Edmonton. During the 2015-2016 season Larsson registered 163 hits with the Devils... he had 253 with Edmonton. The two most important things to do in hockey are scoring goals and preventing goals, and Adam Larsson is incredibly good at the latter. Larsson is a true shutdown D man. Teams scored less against Edmonton when he was on the ice. He was effective at getting into shooting lanes as well as pushing players to the outside and wearing them out on the boards. What do Doughty, Hamilton, and Burns all have in common? 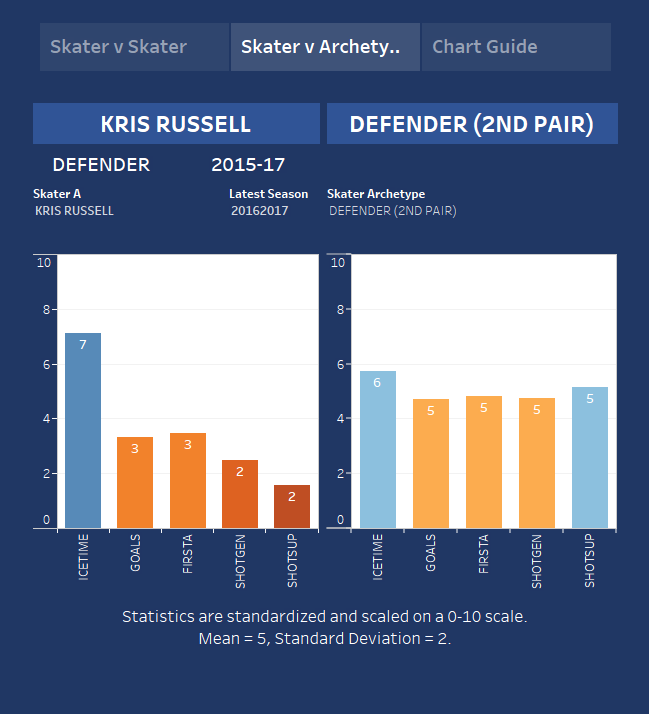 They are all top pairing right shot defensemen. Each of these players quarterback the PP and produce points from the backened. The NHL is a constantly evolving league. A few years ago it was about building a physical grinding team. Now it is all about building a defense group that effectively moves the puck. Larsson is a very effective shutdown defender but he struggles producing points. A common thing to see last season was Larsson deferring to Klefbom in the defensive zone to move the puck out. This isn't necessarily bad but compare that to a team like Calgary that has a pair of Giordano and Hamilton that can move the puck up from either side. Make no mistake, the Klefbom-Larsson pair is a very effective pair. The shutdown role is still a very important one on a team. The issue becomes much more serious when you look at who is the second pairing right shot. That is two spots in the Oilers top 4 that aren't doing anything to move the puck in the right direction. Right now the Oilers have three effective puck moving defensemen; Larsson, Sekera, and Benning. Darnell Nurse can find himself on that list too with a bit more seasoning. The Ducks-Oilers series showed that this team struggled against the mobile D core of players like Vatanen, Lindholm, Fowler, and Manson. By now means am I an NHL mastermind but you would think the Oilers would want a D core that's full of "Get the puck to McDavid" players. It looks as though we can expect the Klefbom and Larsson pair to be the Oilers top pair for at least the next five years and fans should feel comfortable with that. The puck mover paired with the shutdown player has been utilized for decades because quite simply, it works. Klefbom and Larsson I would rate as an above average top pair based on what they did last season but not elite. The Oilers need players on the backend that are more skilled with controlled puck exits. I am optimistic that Matt Benning can become that player but if not it is an area that must be addressed quickly.